The year 2017 may be an anomaly for more reasons than we can count, but the universe has a gift for all of us this summer. 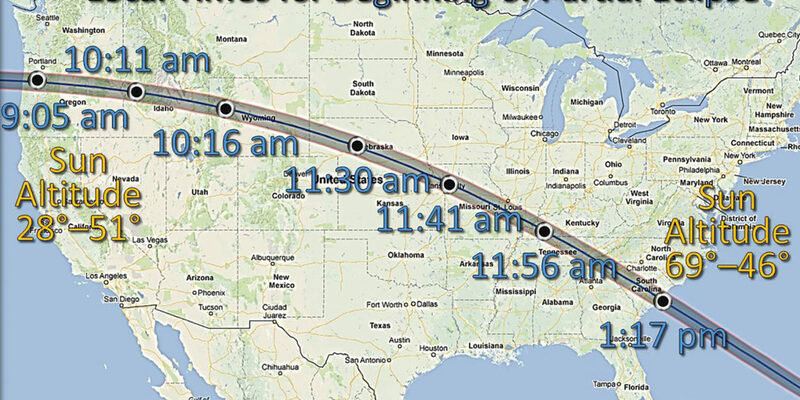 On Monday, Aug. 21, a rare total solar eclipse will take place in an event NASA dubbed the Eclipse Across America. This special eclipse will be visible in the daytime across North America from Salem, Oregon, to Charleston, South Carolina. 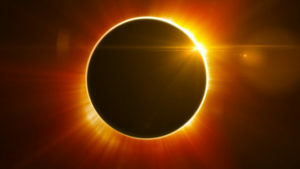 NASA defines an eclipse as what happens when “one heavenly body, such as a moon or planet, moves into the shadow of another heavenly body.” A solar eclipse happens about once every 18 months, including annular eclipses and partial solar eclipses. But a total solar eclipse is an unusual phenomenon that hasn’t been visible in North America since June 8, 1918. In order for the total solar eclipse to take place, the sun, moon and Earth must all be in a direct line. At the point of totality — when all three bodies are completely in-line — viewing points will experience up to two minutes and 40 seconds of daytime darkness and a rare view of the moon completely covering the sun. Experiencing this odd daytime darkness may be a once-in-a-lifetime opportunity for some: The next North American total solar eclipse will occur on April 8, 2024, though it will hit fewer states on its southwest-to-northeast path. Check out Casper Wyoming. Best Western, $79 per night and the finest powdered eggs on the planet recreated every morning just for the event. Need a little bit more. Follow up next week for other viewing options and some tips from our friends at NASA.